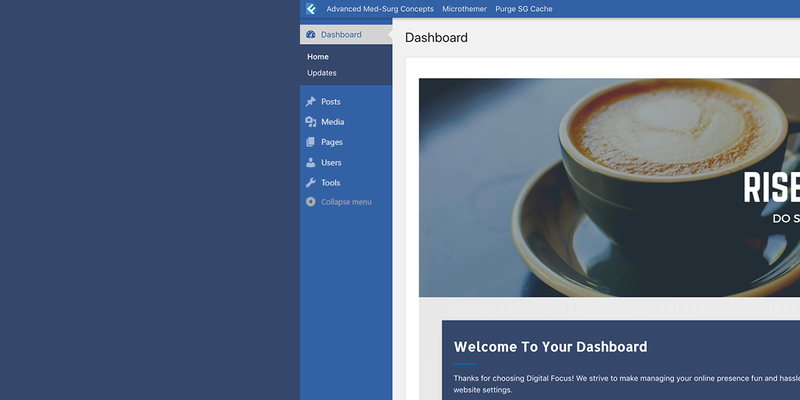 If you’re a web developer building websites for clients using WordPress, you probably spend a bit of time explaining all the references to WordPress in their new dashboard. The login screen, the dashboard and all the admin menu items can be confusing. The White Label CMS plugin allows you to customise the entire client experience including the login screen, dashboard and admin menus. Why make your client login to the standard boring login page? White Label CMS allows to modify everything on the login page, add your own logos and background images, and even control the CSS if you wish. You can add logo’s to the admin bar, menu and footer to give your client a better branded experience. Personalising the backend of WordPress will give your client the feeling that this is their website, not a generic website. Are you tired of telling your clients to ignore everything on the Dashboard, but it’s confusing? Well, with White Label CMS you can clear everything from the dashboard and add in your own dashboard panel. You can even add your own RSS feed to the dashboard panel so you clients can be kept up to date which what you are doing with your business. Isn’t this more important than showing your clients where and when the next WordPress meet up is? We have created a new feature called the White Label CMS Admin which allows you had menus for other users. It’s very simple to setup and allows you to give clients admin access, but makes it harder for them to stumble across settings and mess up the site, meaning you have to fix it. Want to setup the site with just a few clicks, use the Wizard, to add your branding and your clients details and you will be up and running in seconds. White Label CMS is very powerful, but most of the time you want to just set up the basics and move onto your next task, the wizard allows you to do this. Choose what menus appear using 3 CMS profiles: Website, Blog or Custom. Remove all panels from the dashboard. 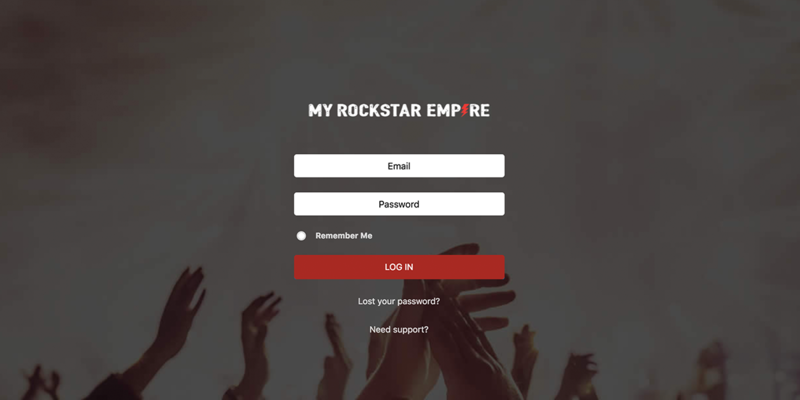 Customise the login logo (and we have removed the WordPress alt text). Use / login instead of /wp-login.php (must user permalinks in order for this to work). Remove navigation menus for user roles of editors and below (perfect for clients!). Add you own ‘welcome’ panel to the dashboard. Make widgets and menus available to editors. Customise the head and footer logos. This has been tested on WordPress multi sites. No longer will you have to tell your clients to ignore the dashboard! This plugin was inspired through both our own experiences / needs and these great articles: Cats who code, Smashing Magazine, Net Tutsplus, Craig Buckler and by our won hard working developers here at Video User Manuals. We would love to hear how you are using the plugin, so please leave your comments below! Got a feature request for WLCMS, let us know here. Got a support question, head on over to the support forums. Hopefully this hasn’t already been asked. If there was a way to make the settings install automatically? So on a fresh wordpress install, it runs automatically? This is the reason we built the import/export feature as it was a requirement we flagged as well. Just install WLCMS, go to import settings and you are done! I’ve done exactly that, the issue is i’m looking to make a default version so that, when you run the install of wordpress, it immediately preloads the plugin with those settings. Is there something in the plugin itself, where i can preload a txt file and load in that .txt file straight away? like on activation of the plugin? Or even better would be if you could load the settings from a txt file on an external server (through api if need be) then you could have one settings file, which you can send out to multiple installs. if you need to update the settings, it does it live across all of them. All great ideas. We thought the import export would be sufficient, but I can see you point. Put in a feature request and we will consider it for the future. Great plugin! I love the fact that I could customize the login page. However, is there a way that, after clicking the Login button, to be directed to the main page of the site instead of the Dashboard or Profile? Thank you very much! A really amazing plugin indeed. Congratulations to all the dev team that made this. Just one simple question, is White Label CMS 1.4 fully compatible with WordPress 3.4.1? Or I do require to use 3.3? It is fully compatible for 3.4.1. Thanks for pointing this out. I have updated this page. quick question if i use the white label plug in for multi site how i make the choices for the first site stick on all the others? Can you please send a support ticket to us via the support tab at the top of the website so our dev’s can look at this? I have setup up this plugin on one website, i want to now export settings for the remaining sites. Sorry about the delayed response Vivek. We are about to release a new version of the White Label CMS plugin with an import/export feature. Stay tuned. Not long now. Hello, I love CMS, but the Appearance menu options do not seem to work. I have WP 3.3.2 and CMS 1.4.6 using a ThemeBlvd Responsive theme. I can’t get any of the submenus to show (ie. Menus, Widgets, etc). I saw in another post that you acklowledged this about 4 months ago. Please let me know. Thanks again for all your great work! Sorry about the delayed response Mark. Are you stil having issues with White Label CMS plugin? If so please let us know via the support desk. Just click support in the main nav at the top of the site. This helps us track all bugs. This plugin looks like a great idea. I have noticed that it has some cross over with adminimize. However adminimize does what it does fully and completely, so I wish to keep using it. However this contributes new whitelabel functions that are also useful so I wish to use this also. This begs the question – do you want to eventually achieve what adminimize does to that same degree, or not? For a completely clean solution for the client, at this point, the two are needed, and in doing so, there is doubled up functionality. Not a big deal – it is still worth using both – but adminimize is a very mainstream plugin so this question is worth thinking about. Having said that – great work as the value this plugin adds fills a gap that is needed. thanks. Adminimize does have some awesome features that we have on the wishlist to incorporate. Thanks for the kind words and be sure to keep your eyes on this space. Please also make this change the Howdy text to something… less lame. Like Welcome back. Well done guys. You just made my day. Keep up the awesome work. Hi. Very nice plugin, it really solves the problem I have been having with CMS’s. I just have a request: Option to Import/Export the settings I customized on “White Label CMS” plugin. I know every client can be diferent, but sometimes they don’t. And other times I could only change 1/2 settings to make it work correctly for another client. The import/export feature will be here very soon Crusnik. Looks like a great plugin. My colleague James turned me on to it yesterday. Looks like we will be making a purchase soon. I can already think of several clients I wish I had this for before I handed them the keys. Only just discovered it and am well chuffed. Really cuts down on dev time trying to tweak the backend. Not sure if this is the right place for feature requests, but would love to be able to create unlimited custom welcome widgets. I usually have 6+ user roles that can access the admin area and it would be cool if I could create a personal widget for each one. Thanks for the kind words Bob. And great feature request. I’ll stick it on the wishlist. I’ve now used this great little plugin on quite a few client sites – thanks so much! I do have a concern though. Once I set up these modules, then get ready to hand-over to client, I discover to my horror that the Editor level will not be able to access the functionality I’ve added, as they can’t SEE the plugin in the sidebar. In the case of Marketpress Lite, the Editor can access the Products etc, but cannot ‘see’ the Settings for the Store (which gets turned Off by the CMS plugin). 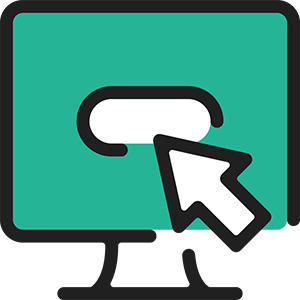 – the ability to select what the Client/Editor should have visible in the Sidebar. For me this is the single most important feature which is missing. The is the main thing which causes me grief – the inability to give the Client/Editor access to something I’ve spent so much time setting up. I’ve only found one workaround once – an image gallery which had a checkbox to select ‘Editor’ access. I have yet to find any other plugin which has this, which means in many cases I have to give the client top-level Admin access, just to use one or two plugins (which are essential for their site). A solution for this would be outstanding! I’ll add it our uservoice feature voting system.